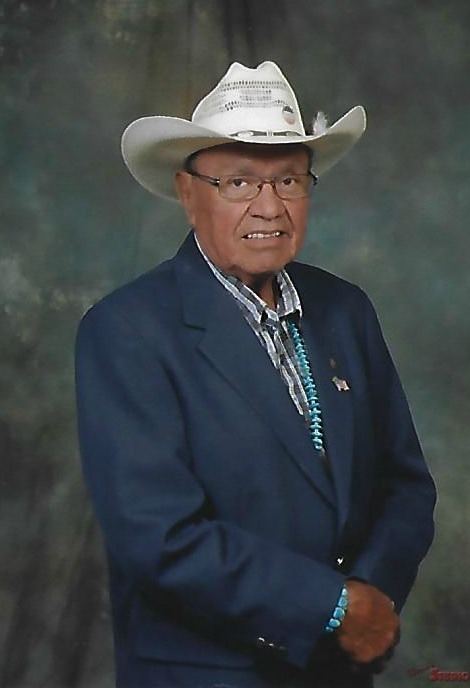 Albert D. Davis, 76, of Burnham, NM passed away on Sunday, February 10, 2019 in Farmington, NM. He was born on April 14, 1942 in Burnham, NM to David and Nellie Davis. Albert graduated from Navajo Methodist Missions then receiving a bachelors and masters degree from Western New Mexico University. He was a US Vietnam Veteran as well as an educator and rancher. Albert will be missed by those he mentored and helped in time of need and those who loved and cared for him. Albert is preceded in death by his parents, David and Nellie Davis; brother, Wallace Davis and sister, Lucy Davis. Albert is survived by sons, Shawn Davis and A. Leon Davis; sisters, Geneva Jim, Lynda Davis and Joann Silversmith; grandchildren, Mychal Davis, Justin Davis and Aaliyah Davis. A service will be held at 10 am on Thursday, February 14, 2019 at Riverside Bread of Life Church, 713 Road 6100 Fruitland, NM, burial will follow at Burnham Family Cemetery and reception will be at Burnham Chapter House. Pallbearers are Waylon Jim, Frank Lamone, Fred Lamone, Eric Jim, Mychal Davis and Kyle Lamone. Any donations can be made to A. Leon Davis at his residence.